obviously we are coming up to pumpkin pie season being that thanksgiving is around the corner. honestly, i have never been one to choose pumpkin pie over other options during this season, but i found myself going to a dinner party, and wanting to bring a pie. 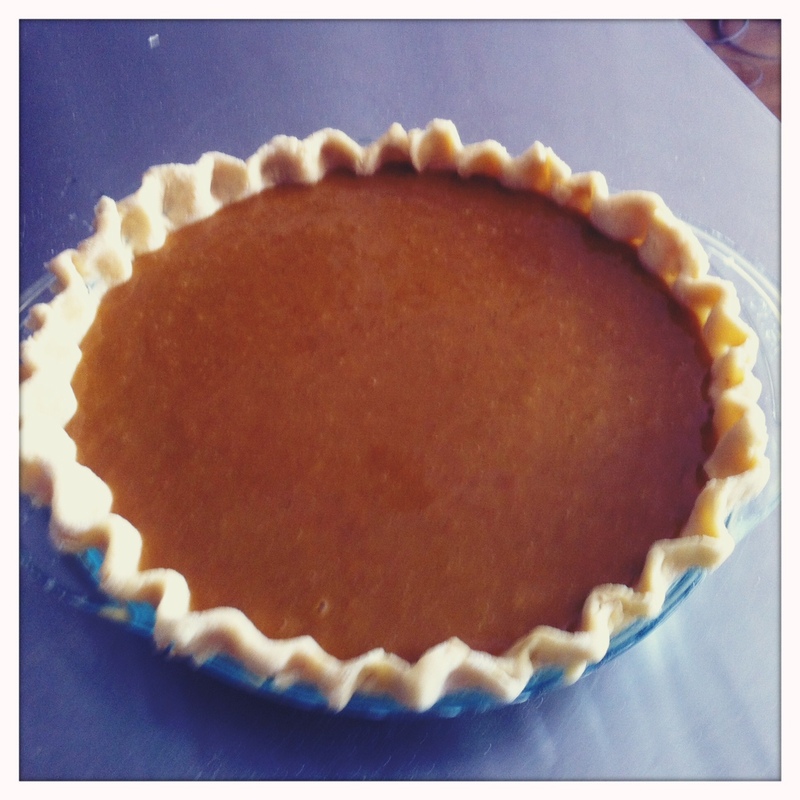 i happened to have a pumpkin on hand with which i intended to make soup, but thought i’d try my hand at a pie instead. 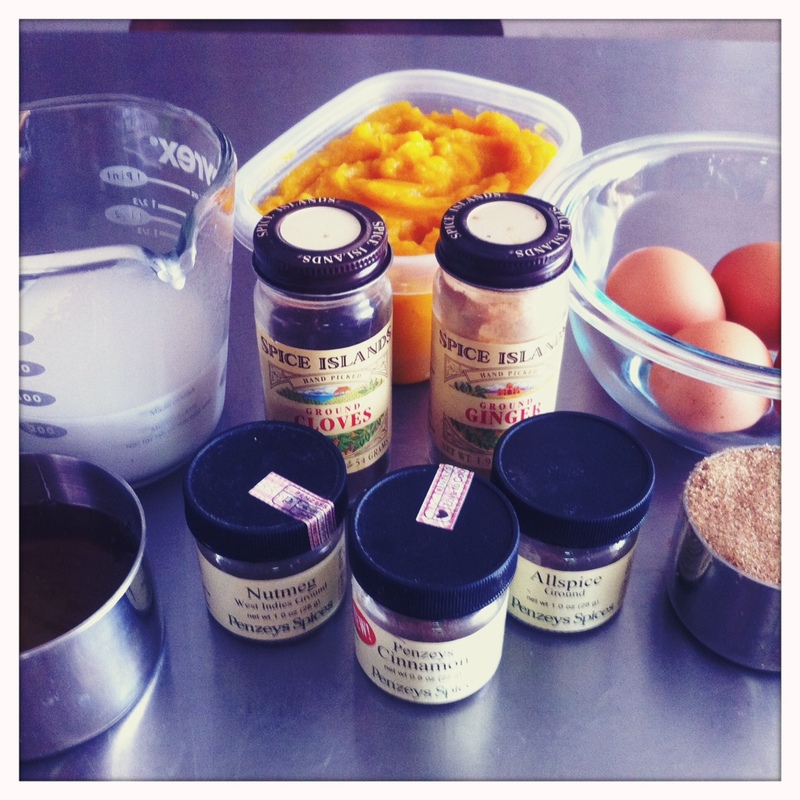 my biggest problem with pumpkin pies is that they are way too sweet, so i researched a few different recipes. they all had similar ingredients and spices: pumpkin, egg, cream, sugar, cinnamon, nutmeg etc… most called for canned pumpkin, and a few recipes even called for sweetened condensed milk, which makes me think that was the type of pie i was used to. i made three changes that i think made the difference; i used a real pumpkin, i substituted the sugar with a mix of brown sugar and honey, and i replaced the cream with coconut milk. the result was a not too sweet, very flavorful, real pumpkin pie. 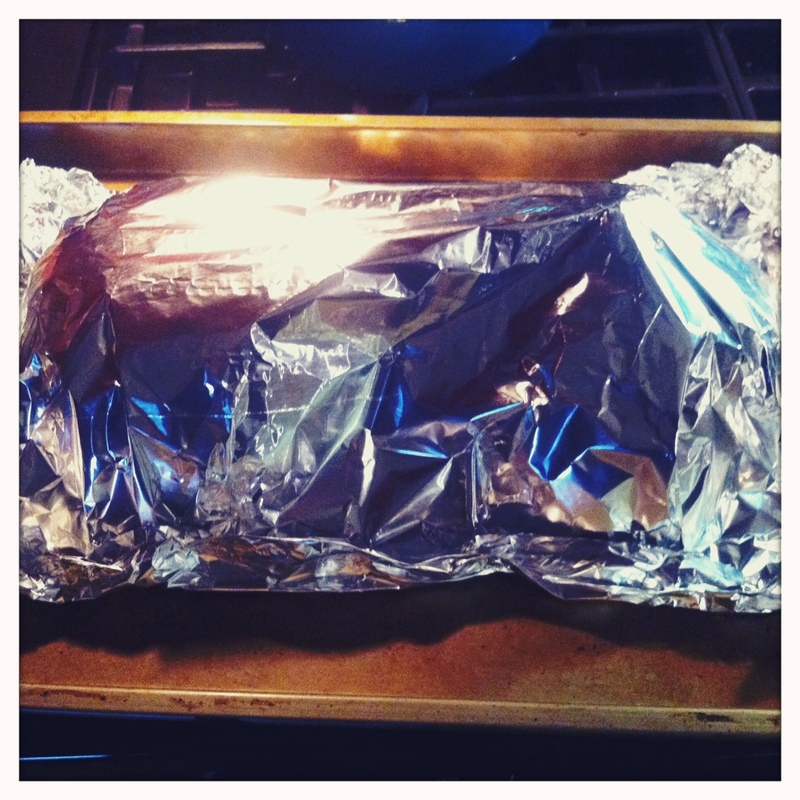 roast the pumpkin halves skin side up at 350º for 1 1/2 hours on a foil lined pan and covered with foil. the skin should come off easily, and then pureé. 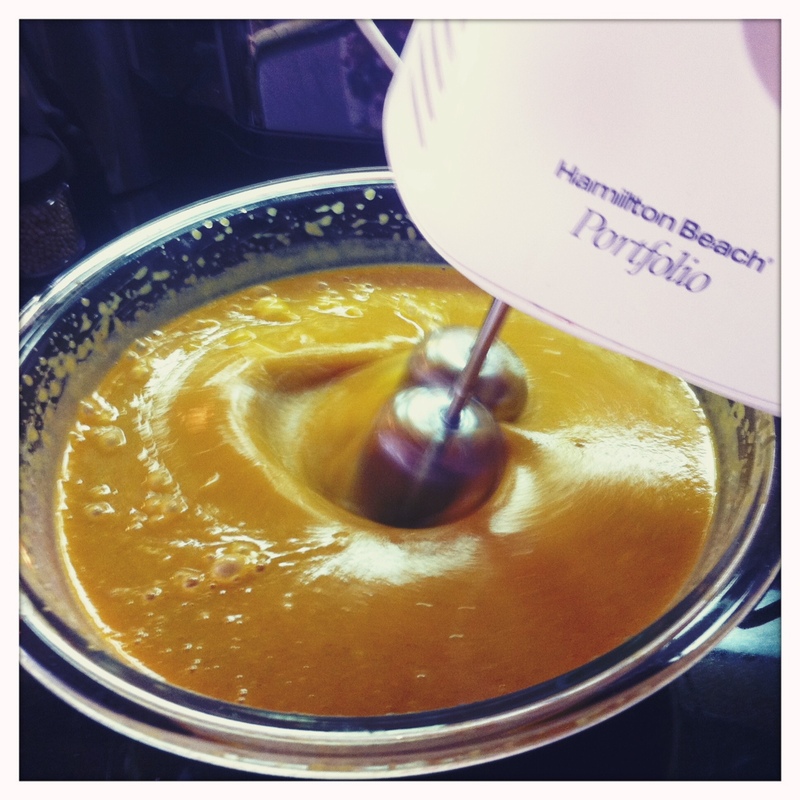 let the pumpkin pureé come to room temperature while you make the dough for the crust. 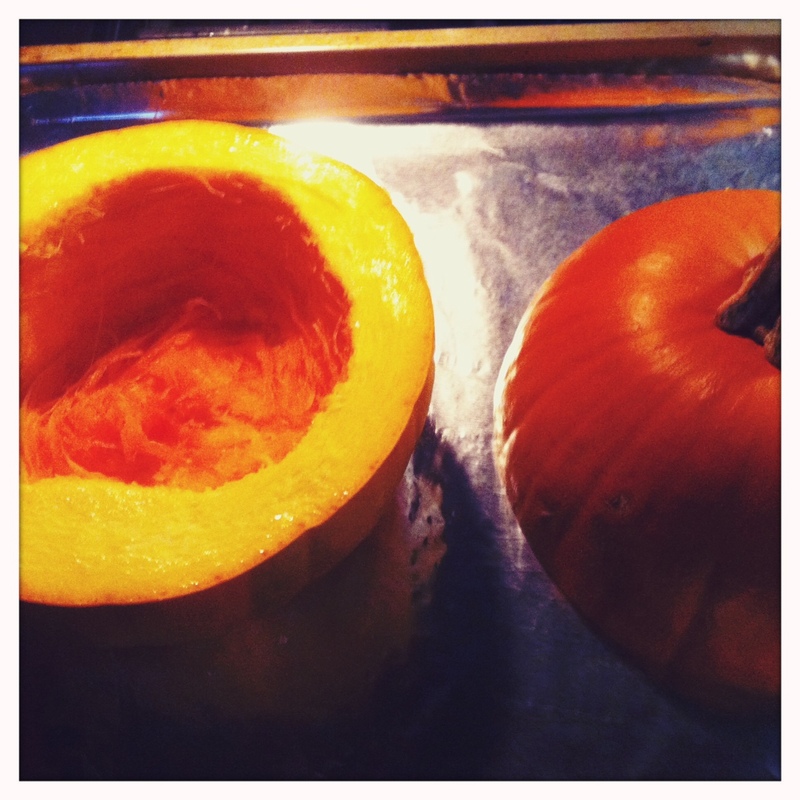 you can also make the pumpkin pureé ahead of time and refrigerate until this point. if so, take it out of the fridge and let come to room temperature while making the dough. put the flour, sugar and salt in a food processor, and pulse quickly to mix. add the shortening and process for 10 seconds. add the butter and pulse 10 times. pour into a bowl and add 2 tbsp of cold water and 2 tbsp of cold vodka. with a rubber spatula using a folding mixing motion, press down with the broad side of the spatula as you turn the dough letting it stick together. add an additional tbsp of vodka if the dough doesn’t come together. form the dough into a 4-inch disk and wrap in plastic. refrigerate the dough for an hour. pre-heat the oven to 425º about 10-15 minutes before taking your dough out of the refrigerator. 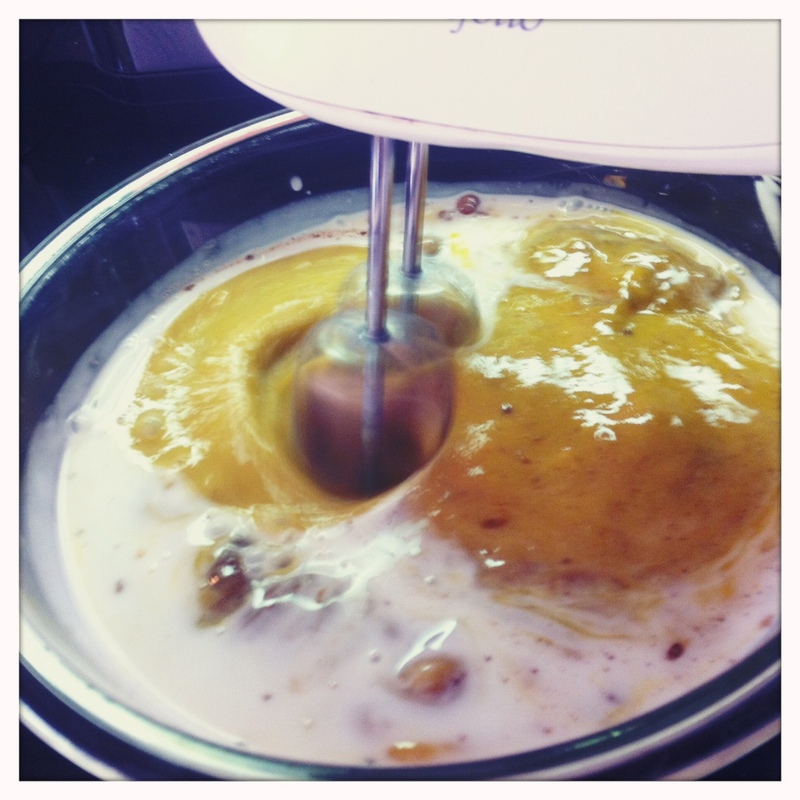 just before rolling your dough out, mix the all ingredients for the filling together very well with a hand mixer. roll out and form the dough into the pie dish. 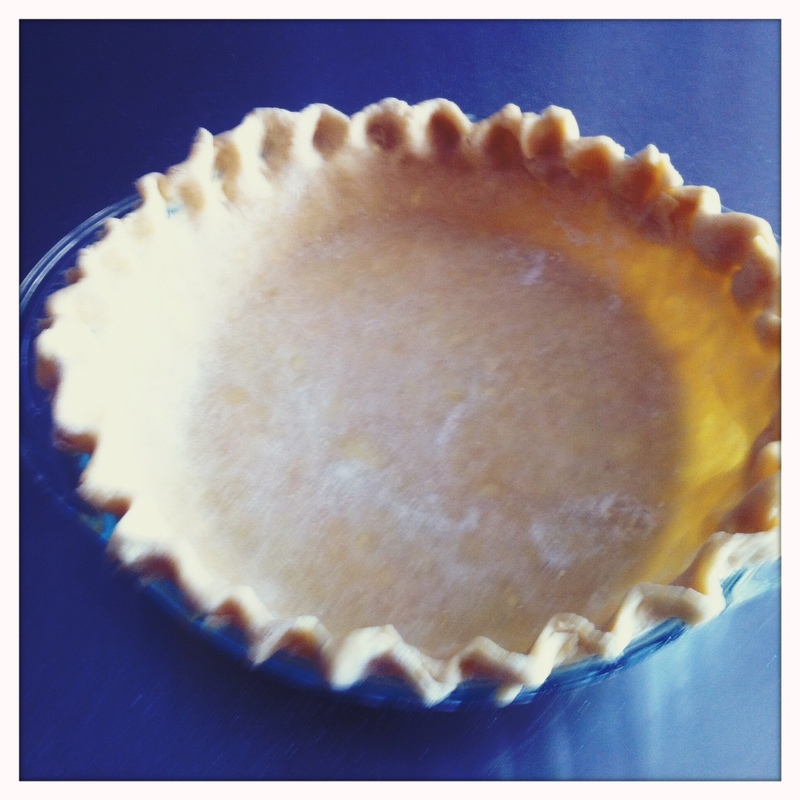 pour the filling into the uncooked pie crust. bake at 425º for 15 minutes, then reduce the temperature to 350º until a knife comes out of the center clean, about 60-75 minutes. i must say that my first pie after the disaster of the steve jobs pie incident was a complete success. i guess he was right…just move on after a mistake and ‘get on with improving your other innovations.’ pie and technology may not match up in your eyes as innovative, but it does in my mind. note: i cleaned and roasted the pumpkin seeds with a little oil and salt, and topped the pie with several as a garnish. 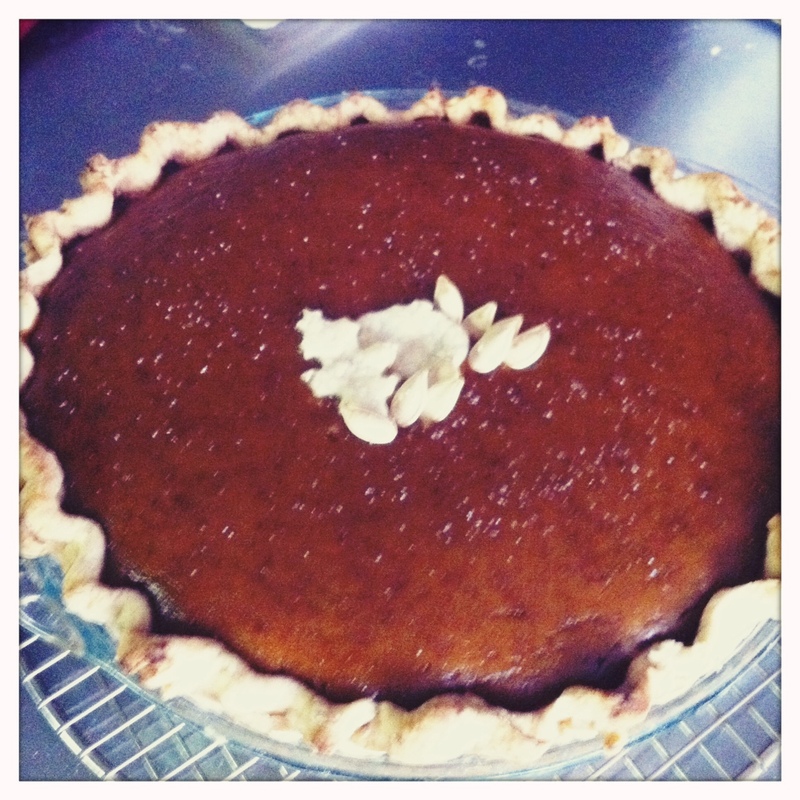 i also added a bit of cut out pie crust in the shape of a pumpkin and fall leaf and sprinkled it with salt. Did you use canned coconut milk, or fresh? I have found that this makes a difference. it’s canned. although i like the idea of using fresh, i probably wouldn’t go through process of making it. the coconut milk makes it sound soooo good. i will try this!